I want to thank Zibra for partnering with me on this best paint for furniture post. All opinions are my own. 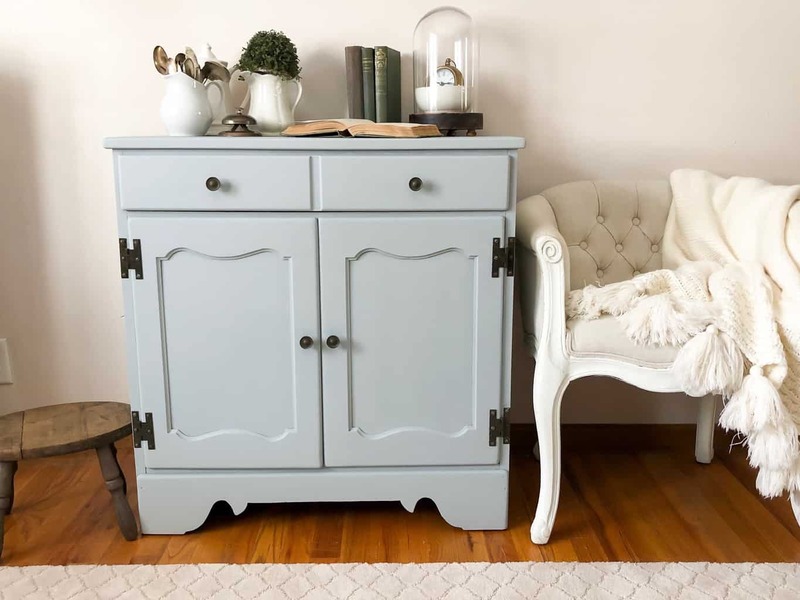 If you are looking for the best paint for furniture, this is the post for you. I love talking about DIY and things we have learned along our DIY adventures. Get comfy, grab your favorite drink and let’s start talking about the best paint for furniture and what I love to use on my painted pieces. 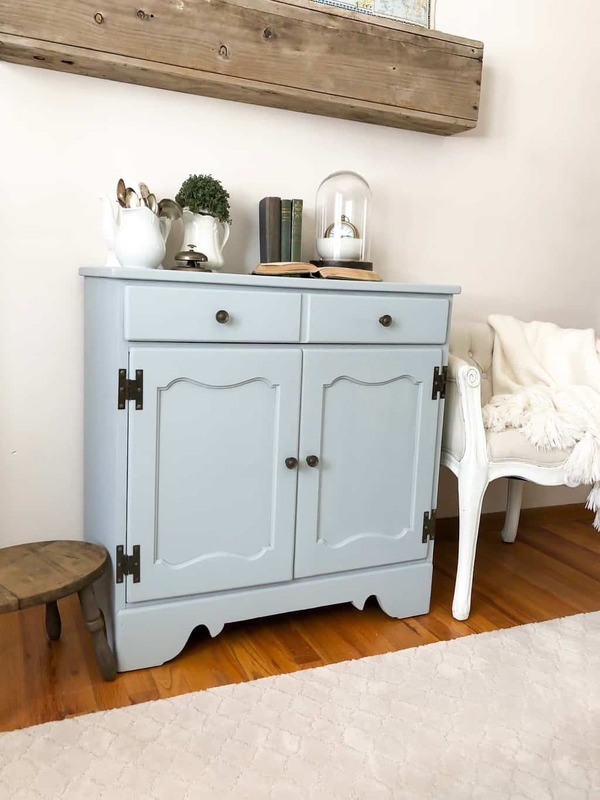 I have shared so many furniture makeovers here on the blog and across my social media channels that I get asked all the time what is the best paint for furniture. I get this question a few times a month, so I knew it would be a great topic to share here. I feel like people don’t start projects because they don’t know where to start, they are worried they will make a mistake or they think they will mess it up before they even get started. I am here to tell you to just dive in. Try. 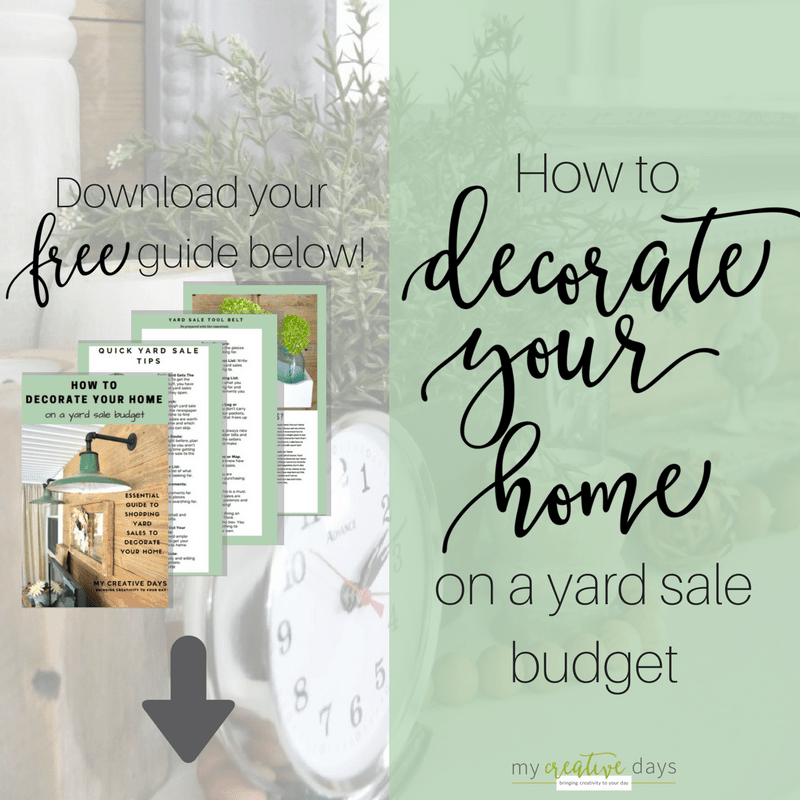 Everything Matt and I have learned about DIY, painting, projects, etc. has been through trial and error. We have messed up, thrown projects out and wasted a lot of time and money learning. Going through all of that has really taught us so many things that researching wouldn’t have. It has also been fun sharing the things we have learned, what to do and what not to do so you don’t have to make the same mistakes and can start off better than we ever did. Painting furniture pieces is where my DIY journey started. I have used so many different kinds of paint over the years that I could talk about it for days. In the beginning of my journey, I would use any paint we had on hand. I was just starting out and didn’t want to invest a lot of money in all kinds of paint while I was learning. Most of the furniture I painted back then was done in latex wall paint we had left over. I changed wall colors a lot so we always had latex paint on hand. Then, after I got better at painting, I started experimenting with different kinds of paints and discovered what I really liked. People get stuck in overwhelm when it comes to painting furniture. They want to paint a piece but get lost in all the options that are out there. There are so many different kinds of paint on the market today that it is hard to know where to start. It is hard enough to pick a color for a piece of furniture, let alone having to know what type of paint to use. 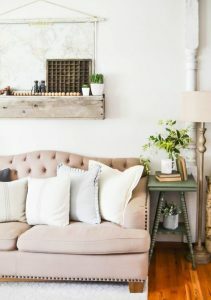 I am going to try to give you some insight in this post and go over some different paint options and tell you what I have found to be the best paint for furniture. 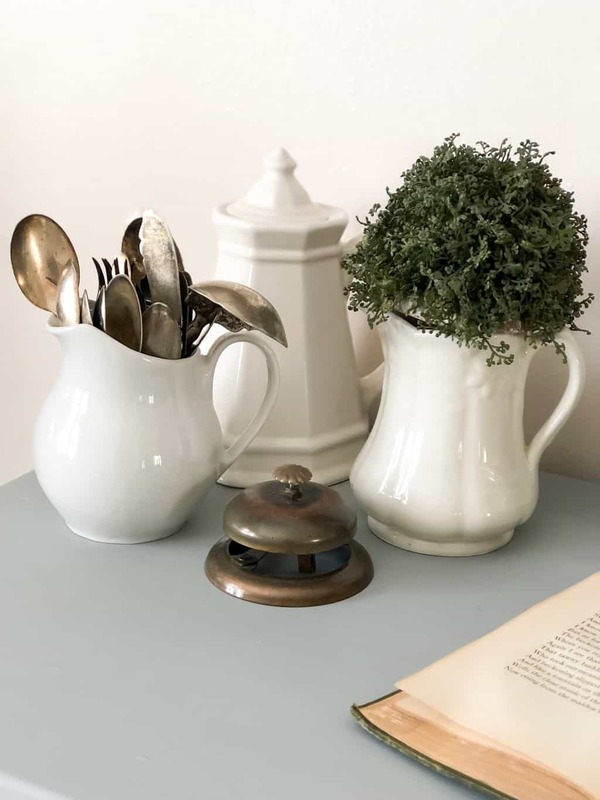 Milk Paint: Milk paint is made from simple ingredients like milk protein, clay, and lime, meaning it’s non-toxic, environmentally friendly, and doesn’t give off noxious fumes and odors. 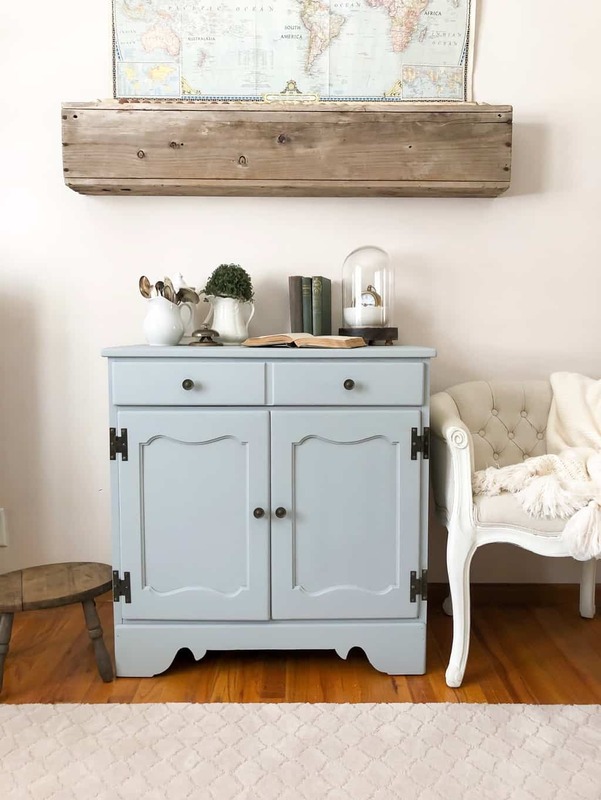 Milk paint produces a matte and velvety finish. 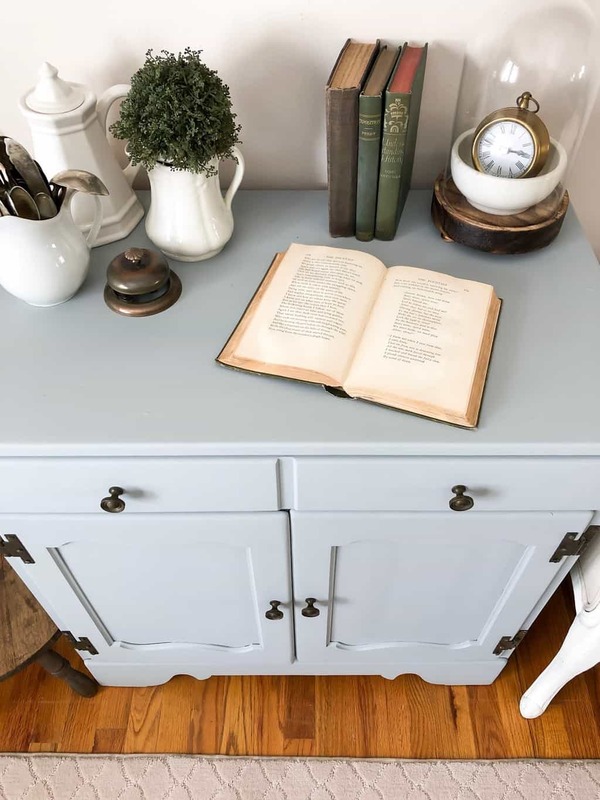 With milk paint, you can either paint with it as it is, to create a naturally distressed look that develops over time, or you can add a binder to the paint before application to create a consistent and predictable finish. (RealMilkPaint.com) Milk Paint comes as a powder which is combined with equal parts water to form a smooth, slightly runny mixture, similar to pouring cream. Spray Paint: Paint that is contained in an aerosol can for the purpose of spraying onto a surface. 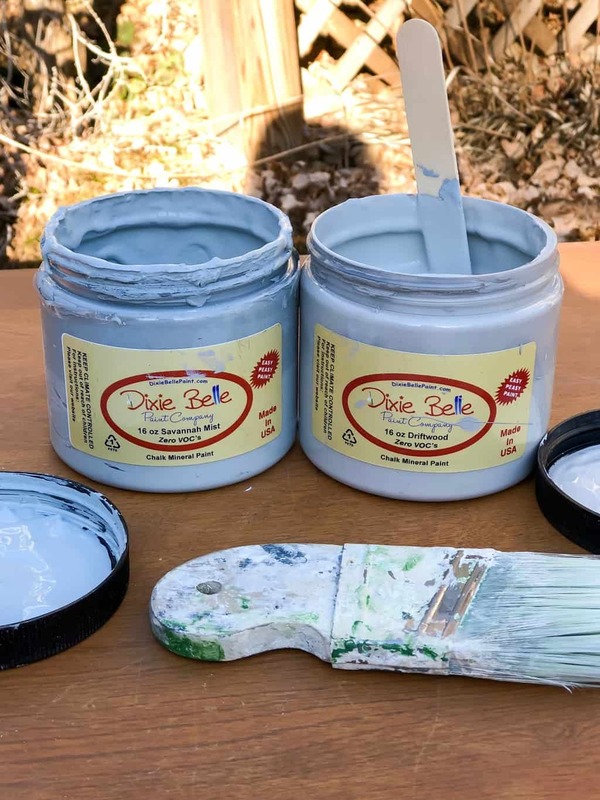 Chalk Mineral Paint: Dixie Belle Paint: Dixie Belle is the number one best-selling chalk mineral paint in the USA with over 1500 retailers in the USA and now Canada. It is water-based, great coverage, little to no prep needed, high hide factor, a little goes a long way, owned and made right here in the USA. It is creamy, rich and affordable. Mineral Paint: Fusion Mineral Paint: Fusion™ is a 100% acrylic, water-based paint. The “mineral” in Fusion™ Mineral Paint refers to the pigments used which are harvested from the earth. Using natural rather than synthetic pigments allows for greater depth in color and better durability to UV light and time. Once cured, a surface painted with Fusion™ is both water and stain proof. No primer or top coat is required, making it more of a one-step kind of paint. Now that we have talked about what the different kinds of paints are, I will tell you that the right paint brushes also make the biggest difference when you are painting furniture. I have a deep love for Zibra Paint Brushes. They were created for DIYers and painters like me. When I first discovered them, I only used them on my furniture projects. Then, we got a flip house and I took the Palm Pro with me to trim the rooms in the house and I was smitten! The brushes fit so well in my hand and the way they are shaped means that I will get the perfect brush for whatever painting job I am doing. I used the Palm Pro on this cabinet makeover. It cut into the crevices well and left the cabinet with a smooth finish. I can’t sing the praises enough about Zibra brushes. If you do any kind of painting, I beg you to give Zibra Paint Brushes a try. After you use the brushes, please come back and tell me how much you loved them. Now, I still haven’t answered the question that I get all the time. What is the best paint for furniture? Well, here is my answer to that. I know. I know. That isn’t the answer you were looking for. Let me dive in a little deeper and explain why I answered it that way. Each furniture piece that you paint will need something different. Just like any DIY project, the outcome and the process will look different with each piece you paint. Some pieces need to be stripped. Some pieces need sanded. Some pieces need to be fixed before you can paint them. Some pieces have veneer that needs to be fixed (find the easy way to fix veneer HERE and the easy way to remove veneer HERE). With all that being said, I do have a favorite paint that I love using on all of my furniture projects. That paint is the chalk mineral paint from Dixie Belle Paint. I tried Dixie Belle a long time ago, but I wasn’t impressed with their color selection. Then, within the last couple of years, they have revamped the colors and I have been hooked ever since. 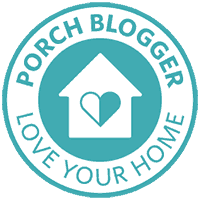 The paint is easy to use and I love so many of the other products they sell. The BOSS is a staple in my paint cabinet and the waxes are very easy to use. I wasn’t a fan of milk paint because I felt like I was painting with water and it never covered like I wanted it to. The latex paint really should only be used for your walls. It didn’t hold up well on furniture. 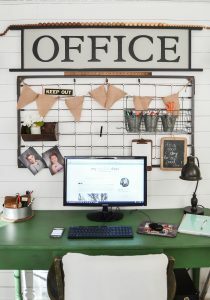 Chalk Paint is okay, but I don’t feel like it is as forgiving as the Dixie Belle Paint. Fusion Mineral Paint is another great option for furniture. I love the consistency of it and again, it is very forgiving. 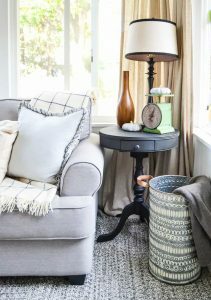 If you are looking for the best paint for furniture, I would go with Dixie Belle Paint. There, I said it! In my professional opinion in working with paint for the past gazillion years, that is the best paint for furniture projects. 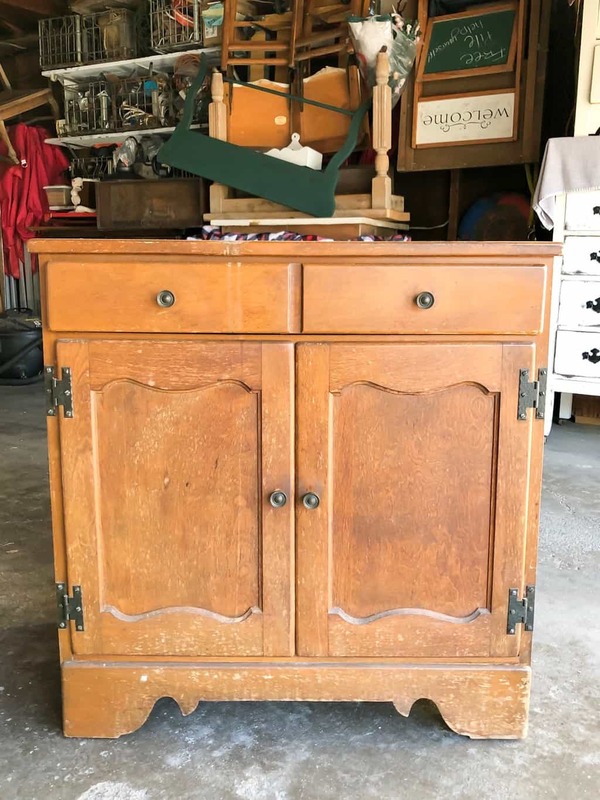 When I picked up this vintage Ethan Allen cabinet at an estate sale, I knew that a coat of paint would make this piece amazing again. I pick up any piece that is the right price and has loads of potential. I can’t let them go to the landfill. If it has potential, I bring it home. For this particular project, the piece was all wood and it had all the original hardware. There were some spots of wear on the top and sides that needed to be covered up. The top coat was dull in areas, but really glossy in others. I used the BOSS from Dixie Belle Paint to prep it for paint. BOSS ensures there isn’t bleed-through of the finish under the paint and it makes glossy projects feel like raw wood before I paint them. After the BOSS dried, I only needed two coats of paint and this piece was done. I put the original hardware back on it and it looks amazing! Another thing I love to do with Dixie Belle Paint, is create my own colors. I am a stickler for using paint I have on hand. I don’t ever want to throw paint out. When I don’t think I have enough of one color to complete a project, I will mix colors to get enough paint for the project I am doing. I wanted to paint this piece a blue/gray color, but didn’t have enough paint of either the blue or the gray. So, I mixed them together to get a great color and to ensure I had enough paint to cover the piece in two coats. I mixed Savannah Mist and Driftwood for this cabinet. I shared how I mix paint live on Facebook and Instagram. Matt and I are pros at mixing paint when we don’t have enough. That comes from our early years of DIYing when we were on the tightest budget we have ever been on. We would mix paints we had on hand to create new colors and to give us enough paint to complete a project. Make sure you mix the same kind of paint together. For this cabinet, I mixed two different colors from Dixie Belle Paint. When I mix paints for walls, I make sure to mix the same sheen together (satin with satin, gloss with gloss, etc.). Make sure you mix more than enough paint for the project. We have learned this the hard way. When you are mixing colors, you will be coming up with a custom color you will never be able to duplicate. So, make sure that you have enough paint mixed to do the entire project. We have mixed what we thought would be enough paint and then ran out and had to buy all new paint in the end. Not fun. It cost us more time and more money in the long run. Learn from our mistake. When you are mixing the paint, make sure you are scraping the sides and bottom of whatever container you are mixing it in. 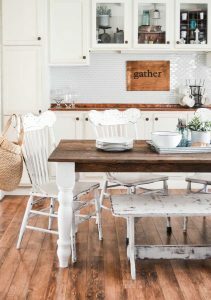 You want to incorporate every drop of the paints so that when you have to do a second coat, the paint isn’t a different color because the colors didn’t get mixed together fully. Mixing paints to come up with a custom color is so much fun. After I have learned how to do it the right way, I do it all the time. Follow the tips above and you will always have a good outcome. The best part of mixing custom colors is that you can name them whatever you want and no one else is going to have that same color. The one thing I hope you take away from this post is that you just need to start. Start the project you have always wanted to paint. Don’t second guess yourself or fail to start because you think you will mess it up. The best thing about paint is that you can always paint over it! If you don’t like the color, you can try a new one. It isn’t permanent. It can always be changed. You will learn so much just by doing the project. Use the tips and suggestions I have given you in this post and just start. You will be so happy you did and you will wonder why you hadn’t started earlier. I want to hear all about the project you painted after reading this post. What did you learn? What kind of paint did you use? What color? I want to cheer you on as you embark on this new adventure!